Experience country club living in your own backyard with the most realistic golf practice area available. Whether working on your short game or entertaining friends, your custom designed golf area will add hours of enjoyment, and resale value to your outdoor oasis. No divots, chemicals, fertilizers, aerating or mowing – just the softest landing and truest roll, like you experience on the finest bent grass greens. 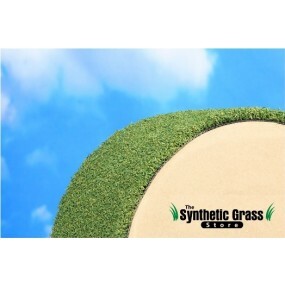 Scientifically designed to match any golfer’s objective, synthetic grass greens will last years with virtually no maintenance. 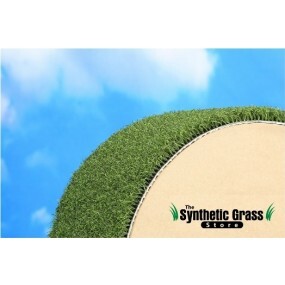 The Synthetic Grass Store has years of experience helping clients create their own golf and putting greens. Plus, we’ve got all the right materials, tools and knowledge you’ll need to do it yourself. From turf, to cups, flags and pins let the specialists at the Synthetic Grass Store help lower your handicap with a beautiful putting green of your very own. How does an artificial green putt? Is it similar to a natural green? Yes, the same contours and undulations found in natural greens can be used. With true roll technology, synthetic greens will putt at similar stimp speed as well cared for natural bent grass greens. How do I maintain it and how long will it last? Maintenance is 2 easy steps. 1) Occasionally use a leaf blower to remove leaves and other debris, 2) Rinse your turf to remove dust or dirt. That’s it! The base of our synthetic greens are built to last with the green to remain playable for years. The average size of a residential putting green is 300-650 square feet. However, we have installed everything from basic 1-hole practice greens up to full putting courses. If you want tiers and elevations added, we recommend at least 1,000 square feet for the best results. Can I chip or hit distance shots? Absolutely. The ball reacts just as it would on a natural green, with some turfs a little better than others for holding the ball. A putting pad can also be added under your green to help the ball “stick” with distance shots. How fast is the green and are there different speeds? On a sand filled green, the speed is determined by the amount of sand fill. Green speed can be varied as much as the amount of sand fill used. More sand fill equals faster and less sand fill equals slower. Is it safe for kids, pets and the environment? Yes. 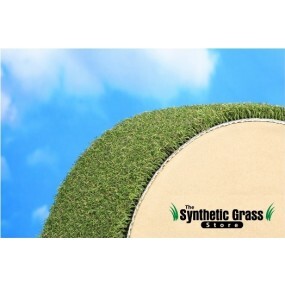 There are many certified eco-friendly options that provide an environmentally sustainable alternative to natural grass. 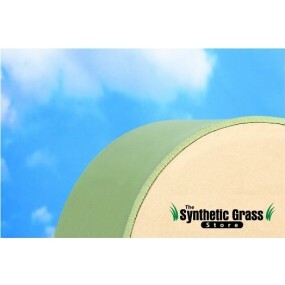 All products have been tested by an independent third party to ensure they are free of lead and heavy metals and many of our products offer a proprietary backing system this is 100% recyclable, all-polyolefin backing system that is up to 50% more permeable than perforated urethane backed products. 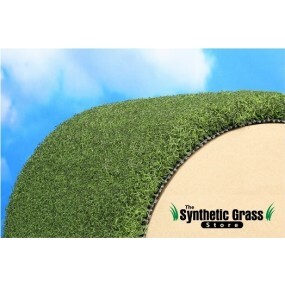 Can I install a synthetic green myself? Absolutely. Installing a practice green requires skill so we caution do-it-yourselfers. but, if you’re ready for a challenge, the Synthetic Grass Store is your place for instruction, tools, materials and rental equipment.